The R Programmes - Kids TV - Classic programmes from yesteryear. From The Racoons to Runaround! The Racoons : Superb pre-Going Live fare on a Saturday morning. Bert Racoon, Cyril Sneer and co. having fun in the Evergreen Forest. Raggy Dolls : Dolls that should've been thrown out of the top factory but weren't and all have something wrong with them.. They were, Princess, Sadsack, HiFi, Back to Front, Dot and I think the French one was Claude. BE LIKE THE RAGGY DOLLS, AND SAY I JUST DON'T CARE. RAGGY DOLLS, RAGGY DOLLS, DOLLS LIKE YOU AND ME. Ragtime: with Fred Harris and Maggie Henderson (who also voiced Bod). Had lots of painted wooden spoons with different regional accents-including an Indian bloke called Mr Curry! Some stuffed toys also. 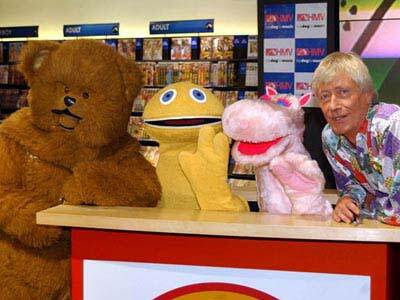 Rainbow: Geoffrey (who now works for Sainsburys), Bungle (who was naked except when in bed or going to the beach), George (a hippo) and Zippy (er, a rugby ball?). 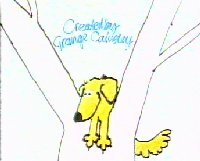 Songs, stories, top animations (anyone remember the rabbit that tried to pull the carrot out the ground and pulled out a rainbow), bits where something would be drawn along with a sound effect (a job there for a JAVA programmer) and Rod (long haired hippy), Jane (Blond haired Psychopath) and Freddy (with the amazing "living eyebrows"). Freddy replaced Alan who later starred as Bunny in Eldorado (no I am NOT including that on the list) and then he became a "Kwick-Fit Fitter". Can someone explain why they're in front of the "Adult" section! Red Hand Gang : American version of the famous five. Programme started by introducing the stars bouncing around on trampolines. Mysteries would be solved. The cute blonde girl would look cute and we'd all have a laugh at the poor lad who's parent's gave him the name James Bond III! Rentaghost : Three "spooks" live in a house and cause havoc for next door neighbours Harold and Ethel Meaker. The people the other side of the Meakers thought they were mad and much hilarity ensues. The original three ghosts were all blokes but two left to leave Timothy Claypole (annoying laugh) to team up with Nadia Popov (played by Gail Tisley's mum) and Witch Hazel. Nadia would disappear whenever she sneezed and arrive somewhere out of the blue. There was also the teleporting pantomime donkey. IF YOUR MANSION HOUSE NEEDS HAUNTING JUST CALL.. RENTAGHOST. WE'VE GOT SPOOKS AND GHOULS AND FREAKS AND FOOLS.. AT RENTAGHOST. HEAR THE PHANTOM OF THE OPERA SING A HAUNTING MELODY. REMEMBER WHAT YOU SEE IS NOT A MYSTERY BUT.. RENTAGHOST. AT YOUR PARTY BE A SMARTY AND HIRE.. RENTAGHOST. IF WANT A FRIGHT CLIMB THE SPOOKY HEIGHTS WITH.. RENTAGHOST. YOU CAN LET OUR SPIRIT MOVE YOU AND FOR FUN PLAY GHOSTMAN'S KNOCK..
BECAUSE WE AIM TO SHOCK WE HOPE YOUR KNEES WILL KNOCK, THAT'S.. RENTAGHOST. LET ME SAY WE'RE MOST TERRIFIC SIMPLE GHOSTS NOT SCIENTIFIC MERELY SUPERNATURAL GHOULIES OF THE DAY. HEAVY FOOT STEPS IN YOUR ATTIC MEANS A SPECTRE TELEPATHIC IS DESCENDING JUST TO SPIRIT YOU AWAY.. HEY! WE ARE EXTRAODINARY FELLAHS HERE AT.. RENTAGHOST. TO BE ANOTHER URI GELLER COME TO .. RENTAGHOST. AN APPARITION QUIPPED FROM DEEP INSIDE A CRYPT ..RING RENTAGHOST. AN APPARITION QUIPPED FROM DEEP INSIDE A CRYPT .RING RENTAGHOST. EVERY GUY AND GIRL WILL LOVE THE SPIRIT WORLD OF.. RENTAGHOST. A SEANCE OR TWO WILL BLAST THE PAST TO YOU VIA.. RENTAGHOST. FOR LEVITATIONS TRY OUR VISITATIONS GREAT MANIFESTATIONS ASTRALLY. IT'S SIMPLY ESP PLUS PSYCHIC ENERGY AND.. RENTAGHOST. WE'VE GOT CLANKING CHAINS AND SUPERNATURAL BRAINS AT.. RENTAGHOST. IF THINGS KEEP FALLING DOWN A POLTERGEIST'S AROUND FROM.. RENTAGHOST. WE ANSWER ANY CALLS, WE ROLLERSKATE THROUGH WALLS, WE WANDER HEADLESS DOWN YOUR HALLS. IF YOU WANT MOANS AND GROANS VIBRATING 'ROUND YOUR HOMES CALL.. RENTAGHOST. LET OUR GHOST FROM COAST TO COAST WAFT OVER YOU. JUST GET SCARED TO DEATH BECOME A GHOST TOO... OOH! WE KNOCK UPON YOUR DOOR THEN ENTER THROUGH THE FLOOR THAT'S.. RENTAGHOST. YOU WANT AN EXORCIST TO CLEAR THE MYSTIC MYTHS CALL.. RENTAGHOST. IS WHAT MAKES IT FUN TO BE A DEADLY SON OF.. RENTAGHOST. Roobarb: Sing along everybody. Richard Briers tells the story of Custard was a red cat, Rhubarb a yellow dog. Pointless, totally pointless but fantastic. Robinson Crusoe: French adaptation of Defoe's classic. Some bohemian geezer walking round a desert island, breeding goats,eating fish and lighting fires. No speech,just a lot of thought out loud. Saving grace, inspirational theme tune whilst looking at lapping tide. Roger Ramjet : Cartoon spoof of Captain America, shown on Number 73. Assisted by the Eagles (fellow pilots, not the rock band). ROGER RAMJET HE'S OUR MAN THE HERO OF OUR NATION. FOR HIS ADVENTURES JUST BE SURE TO STAY TUNED TO THIS STATION. Roland Rat :Started on TV-AM (practically saving the company) and then had his own series. Released three records in the charts as well. Helped by Kevin (gerbil), Errol (welsh hamster) and Reggie (Hyper-active nephew). 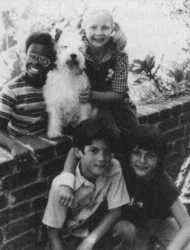 Later shows featured Roland's girlfriend, Glynnis the Guinea Pig! Round The Bend : Puppet mayhem with Doc Croc. Eventually to be taken off by Mary Whitehouse for not being politically correct. Pah! Had great spoof series including "Thunderpants" and "Wee-Man". Round The Twist : Superb Australian drama set in a lighthouse where all sorts of spooky goings on would take place. HAVE YOU EVER, EVER FELT LIKE THIS. DO STRANGE THINGS HAPPEN. ARE YOU GOING ROUND THE TWIST?.